The most exciting road trip in history begins! In this action-packed, New York Times bestselling adventure, twelve-year-old twins Coke and Pepsi McDonald embark on a family vacation you'll have to read to believe. 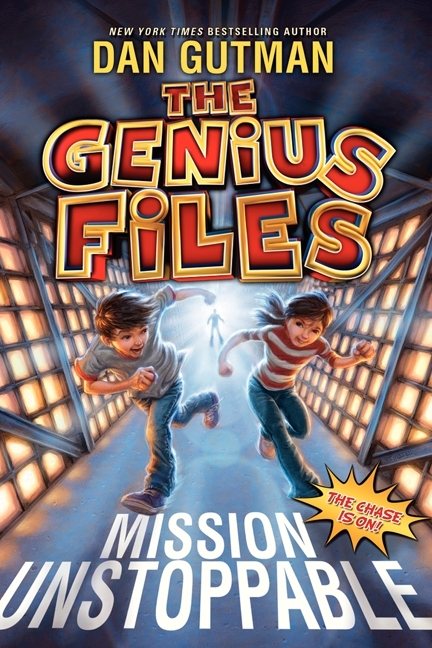 With the real-kid humor that has earned Dan Gutman millions of fans around the world, and featuring weird-but-true American tourist destinations, The Genius Files is a one-of-a-kind mix of geography and fun. As Coke and Pepsi dodge nefarious villains from the Pez museum in California all the way to the Infinity Room in Wisconsin, black-and-white photographs and maps put young readers right into the action. And don't miss the next leg of the journey in The Genius Files: Never Say Genius!